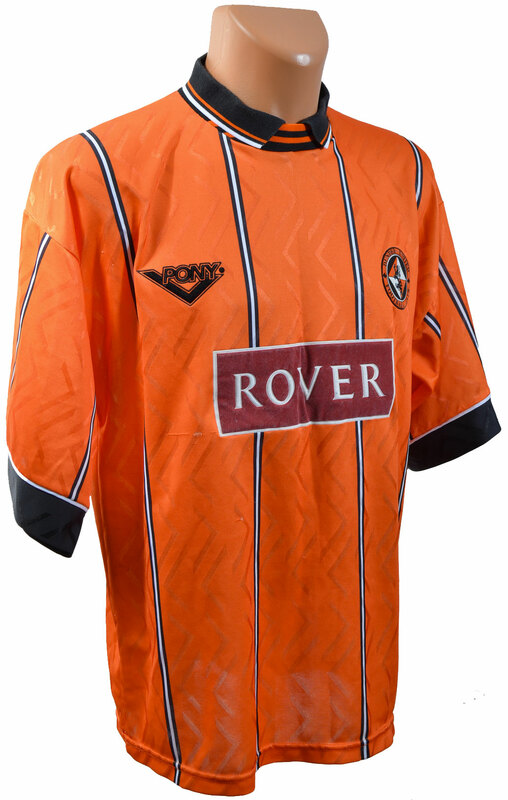 In the early 1990s, American sportswear manufacturers Pony were owned by The Pentland Group - a global brand management company based in the UK – who were keen to get involved with manufacturing kits for British football clubs. 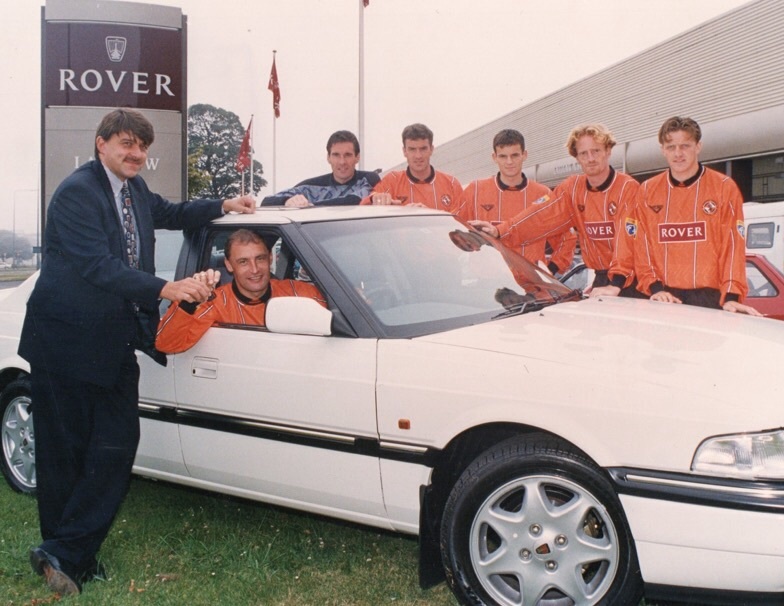 Already suppliers for English Premiership clubs like West Ham United and Southampton, Pony then become Dundee United’s next kit manufacturers in 1994, in a deal worth a reported £500,000. After Loki's all tangerine kit, the Pony strip design returned to the now traditional tangerine top with black shorts and tangerine socks. The tangerine top now had a zigzag pattern throughout the material, and also had four black and white vertical pinstripes running the length of the shirt. The sleeves ended in thick black cuffs, and there was a new collar design, with a rounded crew neck enhanced with a polo style collar. After striking a two year deal in the final week of the previous season, British car manufacturers Rover now had an embossed patch on the front of the new jersey, with white text on a burgundy background. The eighties style “short shorts” were now history, with the new black shorts nearly extending down to the knee. The shorts continued the style of the top, with the zigzag pattern and the thick tangerine band at the legs. The socks were a similar design to the previous season, with a black and white trim at the top. The Pony Home strip made its competitive debut in the opening match of the season, but the Scottish Cup Winners fell back to earth with a thud after a 0-5 hammering at the hands of Hibernian at Easter Road. It was a sign of things to come, as the unthinkable happened when United were relegated at the end of the season. The kit was retained for United’s battle to get back to the top flight during the 1995/96 season. Its last appearance was the intense and highly emotional second leg of the League Play-Off match with Partick Thistle, where Brian Welsh’s late equaliser and Owen Coyle’s extra-time winner meant United returned to the Premier Division at the first time of asking.